Mosaic Support Services is a very proud provider of a range of Supported Independent Living options throughout the greater Hobart area. Supported Independent Living can mean many different things to different people; at Mosaic we aim to provide the option that best suits each individual’s needs and desires. 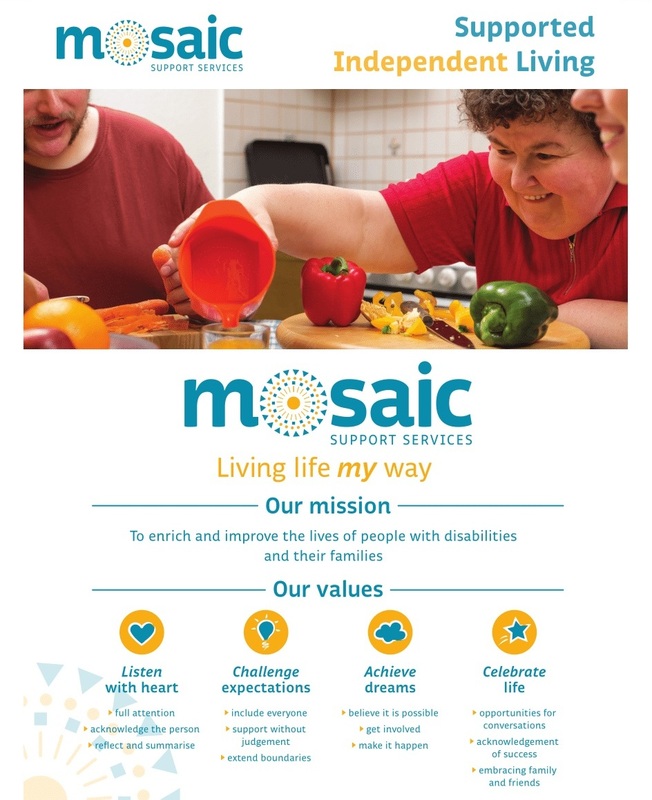 Mosaic is continuously looking to develop new models of Supported Independent Living that provides the flexibility to respond to your requests for support. Employees work alongside clients to provide supports, assist with skill development, and promote community inclusion and participation. Mosaic clients are supported to maintain current relationships and to continue to build new connections. We encourage clients to be living the life they want to live in the way they wish to do it. To find out more contact our friendly intake team on (03) 6244 9444 or by emailing: intake@mosaictas.org.au or by filling out the contact form below.